Metro-NeXt is a follow up to Martin Kippenberger’s Metro-Net project. Before his untimely death death in 1997 at age 43 , Martin Kippenberger imagined a conceptual global underground metro system and started to construct entrances to it in different cities around the world. These faux subway stations led nowhere physically, but conceptually linked the cities and people of the world. 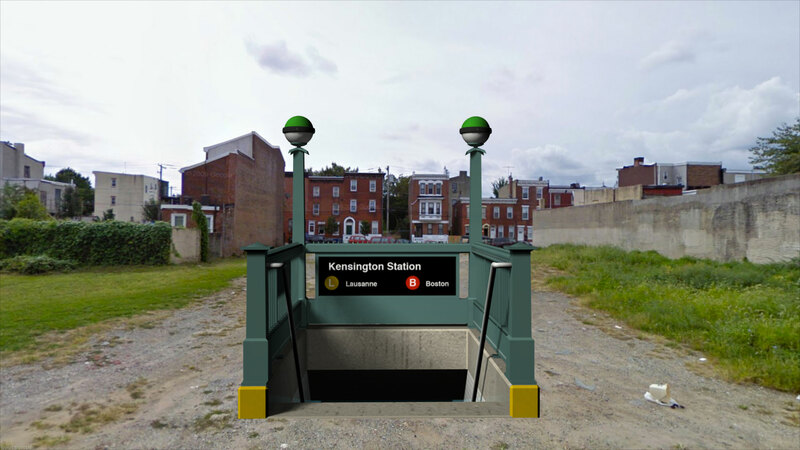 Rather than subway stations leading to nowhere, Metro-NeXt leads to a virtual realm, a mixed reality portal, linking the Kensington neighborhood of Philadelphia, to Boston and Lausanne Switzerland. Using augmented reality technology, users/passengers can enter the Kensington Station and teleport to their city of choice. Launch Metro-NeXt on your iPhone or Android now. Distributed Collectives is an exhibition of three web-based artist groups: Computers Club, Manifest.AR and F.A.T. The artists in these groups are located in cities all over the globe, including Berlin, New York, London, Phoenix, Boston, Amsterdam among others – many of them have been working together closely online for years but have never met in person. This show examines the history and structure of the groups and looks at the diverse processes and approach of the artist working on the interwebz. Video documentation by Will Pappenheimer. Metro-NeXt: Kensington Station. Located in the fair grounds lot between E York and E Boston Streets in the middle of the block between Emerald and Coral Streets in Kensington. Philadelphia. Metro-NeXt: Lausanne Station. Located in front of the old Town Hall on Platz de la Palud near the Statue of Justice. Metro-NeXt: Boston Station. Located in front of the Old State House on the corner of State and Devonshire Streets. 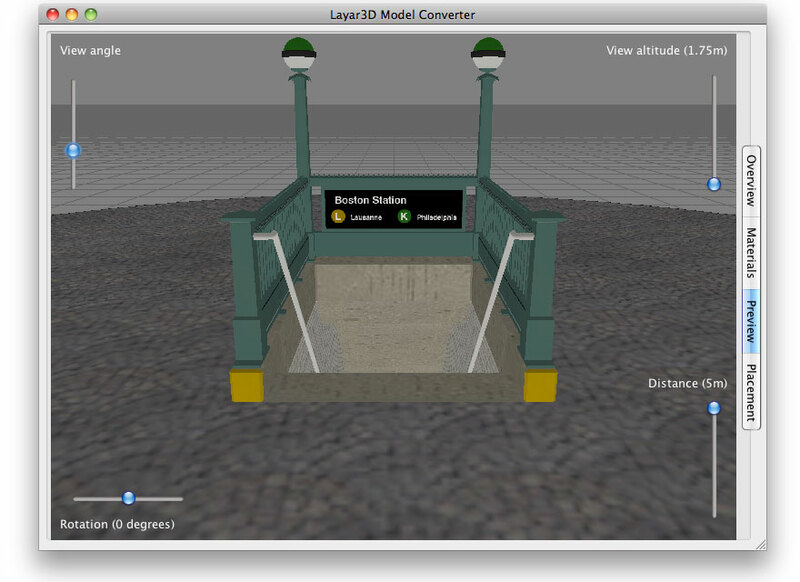 If you approach the station within a few meters, you will be prompted to ‘Teleport Now.’ If you choose to teleport you will be given the choice to be transported to Boston or Lausanne. 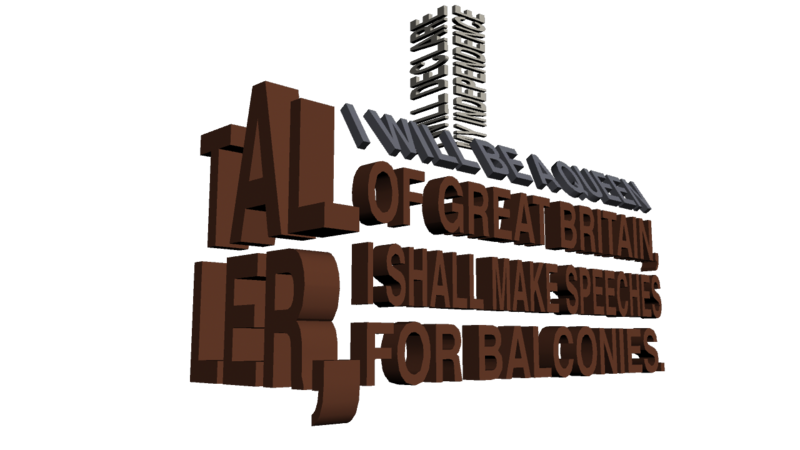 Site specific augments in the form of text poems in the shape of the Old Boston Statehouse or the Statue of Justice in Platz de la Palud will appear based on the choice you make. This entry was posted on July 8, 2011 at 12:05 am and is filed under Exhibitions, Projects. You can follow any responses to this entry through the RSS 2.0 feed. You can leave a response, or trackback from your own site.